While the Internet has opened the doors for e-commerce brands to sell to consumers, it has also opened the door for hackers and criminals to exploit poorly secured websites. Magento is the most popular e-commerce platform on the market and understanding the importance of a secure site to e-commerce brands offers numerous security extensions to help protect against any attack. 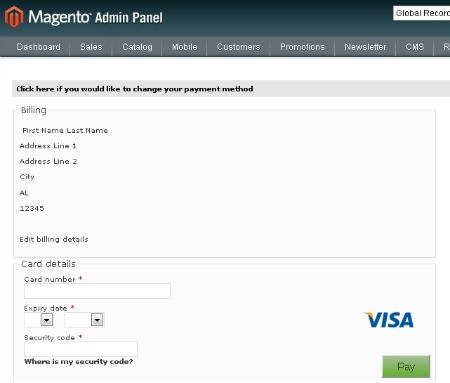 Below are five of the most popular and intriguing security extensions available in Magento. In order for a brand's website to be successful, companies must build relationships with consumers in order to make them recurring customers. To help make recurring consumers experience more pleasurable, the Authorize.Net Customer Information Manager (CIM) with Recurring Profiles allows consumers to save their payment information for easy future use. If saved, consumers' confidential payment information is stored on Authorize.Net server and all communication with the server is done using SSL encryption. In order for brands to increase their digital sales consumers must trust that they are dealing and purchasing from a secure website. Trusted Shops Seller Rating helps brands to build this trust with their consumers by placing a Seal of Approval on the brand's website effectively letting consumers know that their confidential information is safe. One of the necessities for running an online e-commerce website is the ability to securely accept payments. 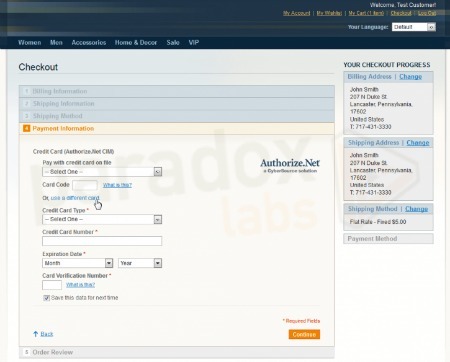 By leveraging this extension brand are not required to be PCI-compliant because consumers are redirected to SecureTrading servers before they enter any confidential information. The payment extension offers detailed transaction reporting, the ability to conduct online refunds as well as tokenization support. There are a variety of reasons why brands may wish to limit or prohibit access to their site and ET IP Security makes it easy to do just that. Whether brands wish to block an IP address that is known for using stolen credit cards or simply block an antagonist who bombards their comment section with inappropriate and potentially damaging messages, this extension allows brands to block any IP address from their front-end as well as limit access to their administrative panel to just work-specified computers. Administrator capabilities enable brands to constantly update, refresh and maintain the integrity of their websites. With so much power it’s vital that brands protect these privileges and ensure that no one other than those with the proper credentials are able to access them. Through this extension brands can protect their administrative privileges through two-factor authentication. The first phase is a conventional username and password while the second phase is a code that is a security code that is sent to the user's smartphone which is only valid for the next 30 seconds.